Snoeck v. Baty on Kent Hovind & Mary Tocco – Kent Hovind v. Robert Baty – The Great Debates! NOTICE: This page is designed for the sole use of Michel Snoeck, Robert Baty, Kent Hovind, Mary Tocco, or appropriate surrogates for Kent Hovind and/or Mary Tocco and for the specific purpose of advancing the discussion of the important public issues reflected in the propositions presented for discussion as shown below. Other posters are welcome to post elsewhere on this website, but other posts here will be subject to deletion. 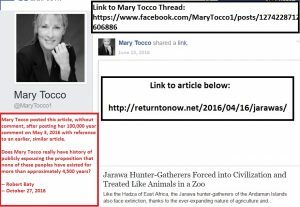 Mary Tocco’s public statement below is consistent with her historic and public promotion of the proposition that “nothing is more than a few thousand years old” and she has convincingly explained why the criticism of her statement below is unfounded. Kent Hovind, Mary Tocco, Michel Snoeck, or some other appropriate surrogate for them should submit their first affirmatives via the comments section below. Robert Baty will follow with his acceptance of the affirmative if convincing or offer his reasons why the affirmative claim has not been convincingly supported. The discussion will proceed as appropriate based on the presentations. 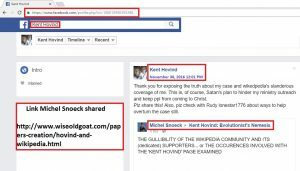 Cowardly Kent Hovind and Michel Snoeck reunited today to schmooz! Michel Snoeck posted a response today to Kent about 5:00 PM MT which is dripping with his hypocrisy. See what you think. Most definitely, that will occur as soon as people start to wake up and shake off their indoctrinations, implanted ideas/beliefs and fears. Our job is to never relent or back down. After all our integrity carries more value than our sufferings because of it.